Yes! $1 Menu Monday and the Reno Aces. Seems like a great way to start week and this 4-game home stand. We will also play games on Tuesday and Wednesday nights then the series ends on Thursday with Budweiser $1 Beer Night. 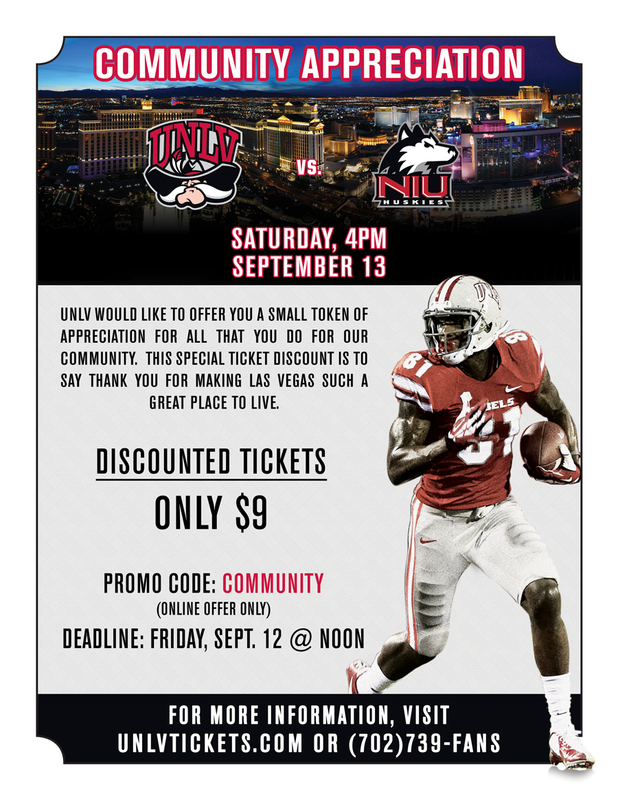 Thursday night will also be our annual UNLV vs. Nevada Alumni Game. The school with the most alumni present will win a special 51s team autograph base. Wear your red or blue and root on your favorite Nevada state university. THE ACTION WILL BE IN FRONT OF RED ROCK STATION. PLEASE SHOW YOUR SOLIDARITY AND PLAN TO JOIN US. Address Update – Please be sure that the union office has your correct address as we will be sending out notifications in the near future regarding the refunds from the Strike Fund. The dues will be reduced to $60.00 beginning September 1, 2014. We are currently working out the logistics for the strike fund refunds and further information will be announced shortly. Every year, the Nevada State AFL-CIO sponsors the ARNOLD/JONES/EVANS Scholarship. The purpose of this essay contest is to award three (3) $3,000.00 scholarships for attending an accredited public or private University, Community College, Vocational or Technical School anywhere in the United States. It used to be that roads often paid for themselves with gasoline taxes and other charges to motorists covering – or nearly covering – the full cost of highway construction and maintenance. Today, the amount of money a particular driver pays in gasoline taxes bears little relationship to his or her use of roads funded by gas taxes. Because of the new fuel efficiency standards, technology, and the growth of electric or hybrid vehicles, much less gas is used by those vehicles, therefore those users pay much less in gas taxes, yet they damage the road like regular gas users. The ability to repair and build roads is becoming more and more difficult for localities and states because of the dwindling gas tax revenue. What other ideas could be applied in order to treat motorists fairly and assure that all motorists using our roads pay their fair share of the construction and maintenance of those roads? 1. There will be three (3) $3,000.00 scholarships awarded to three students. 2. Applicants must be a natural or legally adopted child of an active or retired member in good standing of any local union affiliated with the Nevada State AFL-CIO. 3. Applicants must be graduating high school seniors when making application. 4. Applicants must currently have a 2.0 grade point average and have maintained such for their last full year of school prior to application. 5. Financial need is NOT a criteria for this scholarship. 6. Applications may be picked up at any Nevada State AFL-CIO affiliated local union. 7. A copy of the grade transcript to support claim of 2.0 grade point average and a statement of career goals or intent must accompany the application. 8. All applications must be accompanied by a written essay, 1,000 words minimum, on the subject designated by the Nevada State AFL-CIO Executive Board. 9. Essays should be submitted on 8 ½” by 11″ paper, on one side, preferably typed and double spaced, with applicants’ written signature at the conclusion of the essay. 11. The Scholarship Committee will review all applications to assure that all eligibility criteria and requirements have been followed and met. 12. Essays will be reviewed by a selected committee and scored by at least three readers. 13. Failure on the part of the applicant to meet the rules may subject the applicant to disqualification by the Committee. If disqualified, the decision of the Scholarship Committee will be final. 14. Scholarships will be awarded after acceptance to school of applicant’s choice. 15. An appropriate notification will be presented to the winners by an Officer of the Nevada State AFL-CIO prior to August 15, 2014. 16. The Scholarship will be awarded at the Nevada State AFL-CIO Annual Convention, August, 26, 2014, in Reno, Nevada. Online pre-registration only for Apprentices working in a Union House under a Collective Bargaining Agreement will take place from June 2-11, 2014. You must have your VG Number (located on Union ID Card) to register. Also, actual payment ($50.00) must be paid in the office from June 2-11, 2014 or you will lose your spot and need register in person on Friday, June 13, 2014. Classes will begin August 11, 2014 and continue through January 15, 2015. 1. Twenty (20) weeks of classes – (2) classes per week are required. 2. Four (4) absences maximum are permitted. 3. Trainees are dropped at five (5) absences! No exceptions for any reason! 4. Do not register for this Training Program if you have a planned vacation or any other event that might cause you to exceed four (4) absences! 5. Two (2) absences in a row will require a meeting with the instructor. that are covered under a Collective Bargaining Agreement. •A materials fee of $50.00 (non-refundable) is due at registration. (onsite only)on Friday, June 20, 2014 from 8:00 a.m. to 2:00 p.m.
3.MANDATORY ORIENTATION will be held at the Culinary Academy on July 22 or 23, 2014. LAS VEGAS, NV – Bartenders Unions’ negotiating committee reached a tentative agreement for a new 5-year contract with the Stratosphere Las Vegas on Saturday evening. The previous contract expired on June 1 last year, and the Stratosphere agreement follows settlements with MGM Resorts last fall and with Caesars Entertainment, Riviera, Tropicana, and Treasure Island earlier this year. “This contract makes sure that I continue to have the opportunity to provide for my family, but I am not going to stop fighting until everyone else has the same. I stand with my brothers and sisters at all unsettled properties and will support them on the picket line,” said Silvia Buenrostro, a status board operator at the Stratosphere. “We are pleased that we’ve reached a fair settlement with the Stratosphere. We feel very proud because these jobs will continue to be good jobs with a union standard in Las Vegas,” said Geoconda Arguello-Kline, Secretary-Treasurer of the Culinary Union. Negotiations continue with the companies where contracts have expired and a labor dispute, up to and including a strike, is possible. Unsettled properties are: Fremont, Main Street Station, LVH, Four Queens, Binion’s, Plaza, Las Vegas Club, The D, Golden Nugget, El Cortez, Golden Gate, Brady Linen Services, and Margaritaville. A strike authorization vote is scheduled for all unsettled houses on Thursday, March 20 at Cashman Center. If the vote passes, the union may call a strike against any of the companies without a contract at any time. LAS VEGAS – Through a fair process, hundreds of workers at Caesars Entertainment’s The Quad Resort & Hotel have joined the Culinary Workers Union Local 226 and Bartender Union Local 165, Nevada affiliates of UNITE HERE, the hospitality workers union. They made their decision to unionize by signing union authorization cards under a card-check neutrality agreement between the company and the union. A card check neutrality agreement has been the standard way for workers in Las Vegas’ gaming industry to decide whether to unionize for over two decades. It provides for a fair process whereby workers are free to decide if they want join the union while the employer remains neutral, neither promoting nor opposing unionization. Since 1989, more than 40,000 workers have joined the Culinary and Bartenders through this type of fair process. The workers at The Quad are the latest to do so. “We look forward to negotiating a mutually beneficial contract with the unions representing these workers at The Quad,” said Gary Thompson, spokesperson for Caesars Entertainment. Last January, the Union and Caesars Entertainment signed a card-check neutrality agreement for workers at The Quad. On March 10, an independent third-party verified that an overwhelming majority of workers in the union’s bargaining unit have signed union authorization cards, so the company recognized the union as the collective bargaining unit. Negotiations for a collective bargaining agreement covering the workers at The Quad will commence shortly. Las Vegas – Members of the Culinary and Bartenders Unions reached a tentative agreement for a new 5-year contract with The New Tropicana resort in Las Vegas. The tentative agreement will cover about 650 workers in food and beverage, housekeeping, cocktails and the bell departments. The negotiating committee, which is made up of workers from varied departments, worked with the company to reach terms that safeguard benefits and will help bring back jobs. Negotiations began last summer following the previous contract’s expiration on June 1, 2013. The agreement was reached on March 5, 2014. The economic package, agreed to by both parties, mirrors exactly what has been agreed to by the unions and other employers. Workers will keep their high-quality health insurance. Changes were negotiated for food and beverage operations to allow for flexibility in closed and distressed venues with the goals of reopening shops and bringing workers back to their jobs. New housekeeping language will increase job safety by creating measures designed to deal with hazardous work conditions.